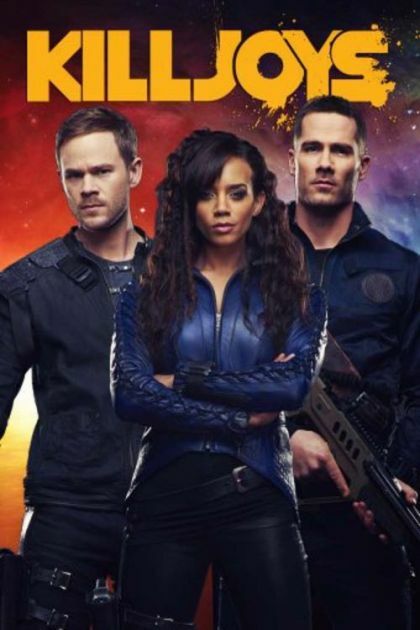 Killjoys follows a fun-loving, hard living trio of interplanetary bounty hunters sworn to remain impartial as they chase deadly warrants throughout the Quad, a distant system on the brink of a bloody, multiplanetary class war. After failing to rescue D'avin, Dutch and Johnny head to Eulogy in the hopes of stealing a mysterious, high-tech shield. A rescue missions goes sideways when the team encounters an unexpected enemy in an abandoned mine. Dutch's search for the green plasma puts the team on the radar of an eccentric galactic collector. The team gets tested when Dutch interrogates a lethal Level Six agent, while Johnny investigates Jelco's wall for Pawter. Khlyen's Red 17 transmission leads Dutch, D'avin and Alvis to an research facility on Arkyn; Johnny and Pawter try to rally support for the impending war for Westerly. The team joins forces with an old enemy in a desperate bid to thwart the Level Six plan for The Quad.